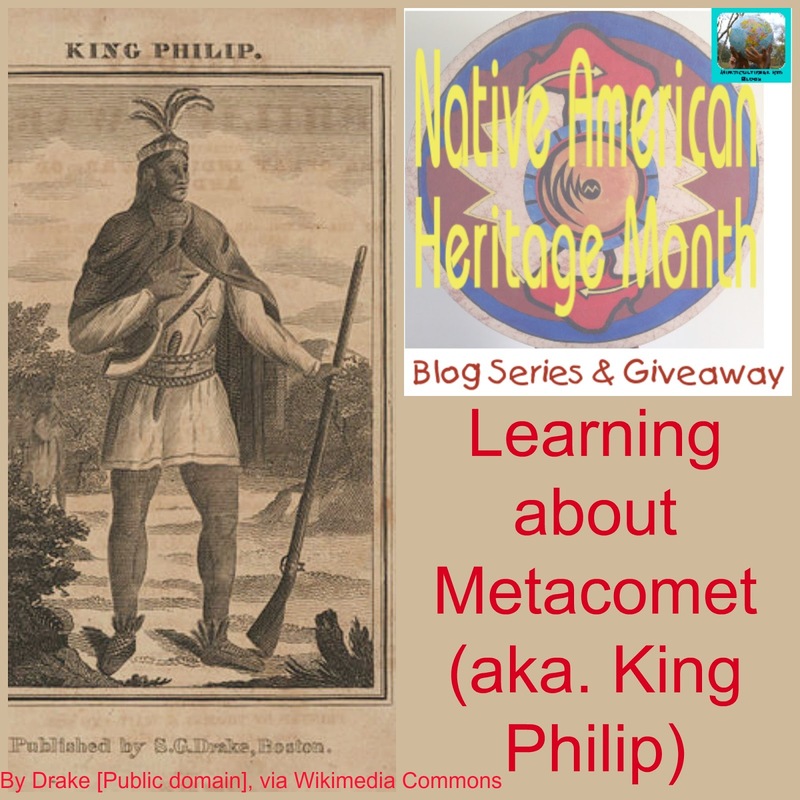 For one of my posts in this year's Native American Heritage Month Blog Series and Giveaway, I thought it was about time I learned more about Metacomet. After all I went to a middle school named in his honor with his English name--King Philip. I knew King Philip was an Native American who had fought a big war, but that was about all I knew. I'm a little sad I didn't learn more about him while at a school named in his honor. Anyway we of course turned to the library. 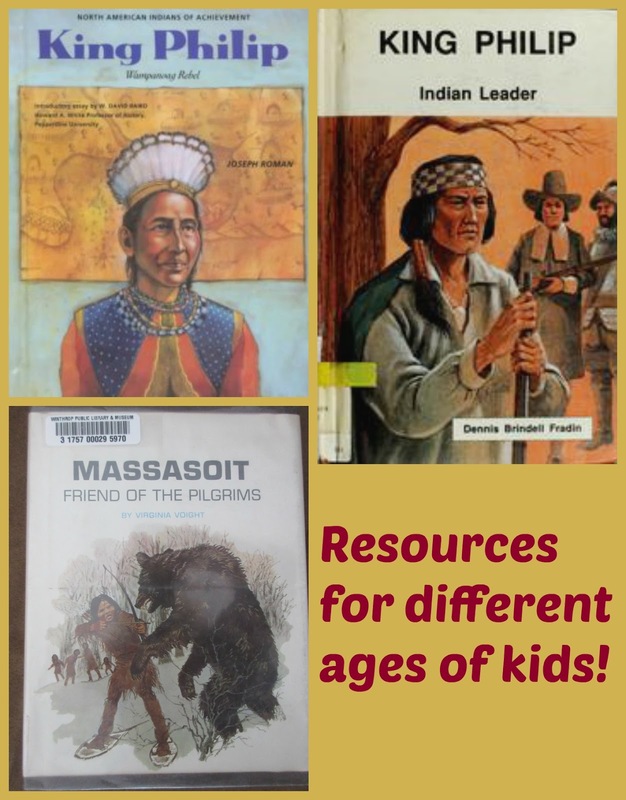 We found a couple of books on Metacomet and one on his father, Massasoit. I had not realized that Metacomet was Massasoit's son previously. 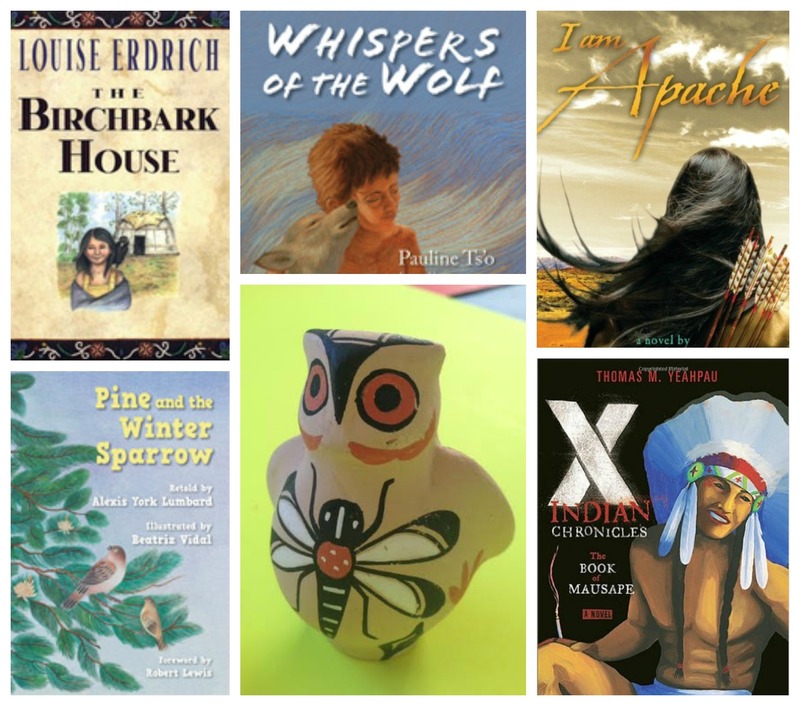 You probably have heard of both Massasoit and King Philip, but do you know their stories? A few years ago we took a look at the Wampanoag tribe and we are going to explore them some more later this month. I am also going to take a look at Squanto during this blog series, but the post will be over at All Done Monkey. Be sure to check it out!! Now Massasoit was chief of the Wampanoags when the pilgrims arrived in Plymouth. Under Massasoit's leadership many small tribes joined together from Eastern Massachusetts and Rhode Island to make the Wampanoags. Massasoit was the grand sachem of them. His home was in Rhode Island in a place called Mount Hope. "King Philip's Seat" by Swampyank - Own work by Swampyank. Licensed under Public Domain via Wikimedia Commons. When the pilgrims arrived it is said in some places that Massasoit was a bit suspect of them.He asked Squanto to go and help them and watch them for the Wampanoag. Squanto knew English from the time he was kidnapped and lived in England. Massasoit befriended the pilgrims as he liked times of peace and wanted them as allies against the Narragansett and other tribes that may attack. He even had close friends with some of the Englishmen. It is said that he was particular close to Edward Winslow who was sent for when Massasoit was very sick and Winslow nursed him back to health. 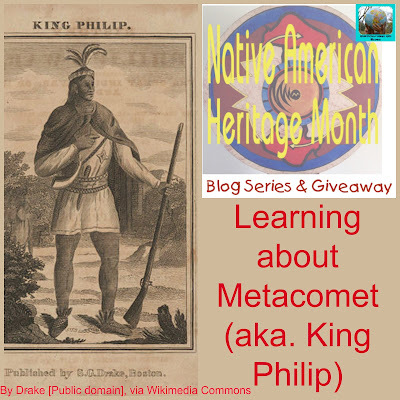 He even brought his eldest two sons to be given English names and this is how Metacomet got the name Philip. By the end of his life Massasoit began to realize that the English were going to take too much of the land for themselves and it had been a mistake to befriend them as much as he had. "Wampanoag2". Licensed under Public Domain via Wikimedia Commons. Massasoit had five sons. His sons felt that Massasoit was too lenient with the colonies. When Massasoit died his eldest son, Wamsutta (Alexander) became chief. The English ordered him to come to Plymouth to show his loyalty. Wamsutta refused. The English arrested him and was taken to Plymouth to stand trial. His wife, Weetamoo, and other tribe members accompanied him, but Wamsutta became ill on the journey and was too sick to stand trial and died in Plymouth. The next in line was Metacomet. Now Metacomet was upset about the land and tensions and especially upset about his brother's death which he blamed on the English. He knew the English would keep taking and that he was going to have to fight them. He also knew he was going to need more allies than just his warriors. Prior to Metacomet's birth the Connecticut Pequots fought the English with no help and were not successful. (In fact the English got helped by other tribes.) The Pequots were almost wiped out during the war. Metacomet spoke with the other tribes. He convinced many of the warriors to join him, but the colonists learned what Metacomet was planning. In 1671 the English made Metacomet sign a paper that admitted he was being naughty. They also forced him to say that the English were his rulers. They seized many of the native's guns and gave them to the colonists. Metacomet knew his father gave them what they asked and it got them no where so he was not going to make the same mistake. He got more guns from other Europeans and other tribes. By early 1675 Metacomet and his men were almost ready to fight. The warriors began raiding farms in Swansea. One of Metacomet's confidant's however was not loyal and let the colonists know of his plans. Metacomet was afraid the English would arrest him and his men so they attacked and killed about ten people in Swansea on June 24, 1675. This was the start of the King Philip War. The war was fought mostly in 1675 and 1676. Metacomet's warriors attacked nearly half of New England's 100 or so towns during the war. There are markers of places within Massachusetts and Rhode Island of such battles. Of course they mark the English lives lost and not the Native Americans. During the war many of Metacomet's family and friends were killed or captured and many warriors saw the end was near and they were losing, so they deserted. On August 1, 1676 his wife and son were captured and brought abroad and sold as slaves. After that he no longer seemed to care. Captain Benjamin Church, the man who captured Metacomet's wife and son, found out he was at his home in Mount Hope. Captain Church lead a group of soldiers to Mount Hope at dawn on August 12. Metacomet awoke from a dream of his being captured. When he saw the forces he ran, but was shot by a colonist. 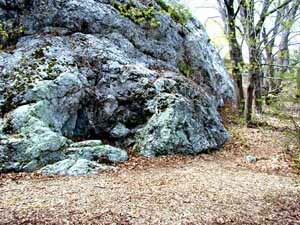 Metacomet fell face down and died. After his death the war ended in most of New England. However the tragedy to the Native Americans and what they lost and continued to lose was horrific. Metacomet and his warriors fought to save their land and way of life. Now reading about King Philip as well as other Native American books got Hazel asking more about the arrowheads and stone tools. 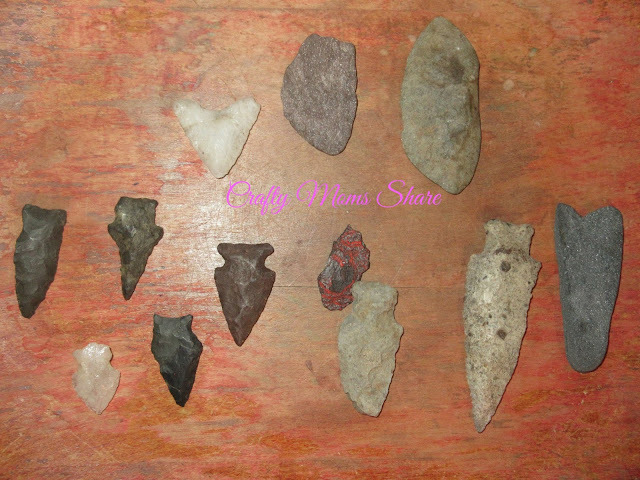 Since I know my father has a small collection of arrowheads he has found (mostly in New England) I asked him to show them to us so Hazel could see and feel them. It was a nice way to give her some hands on experience with what we are learning. 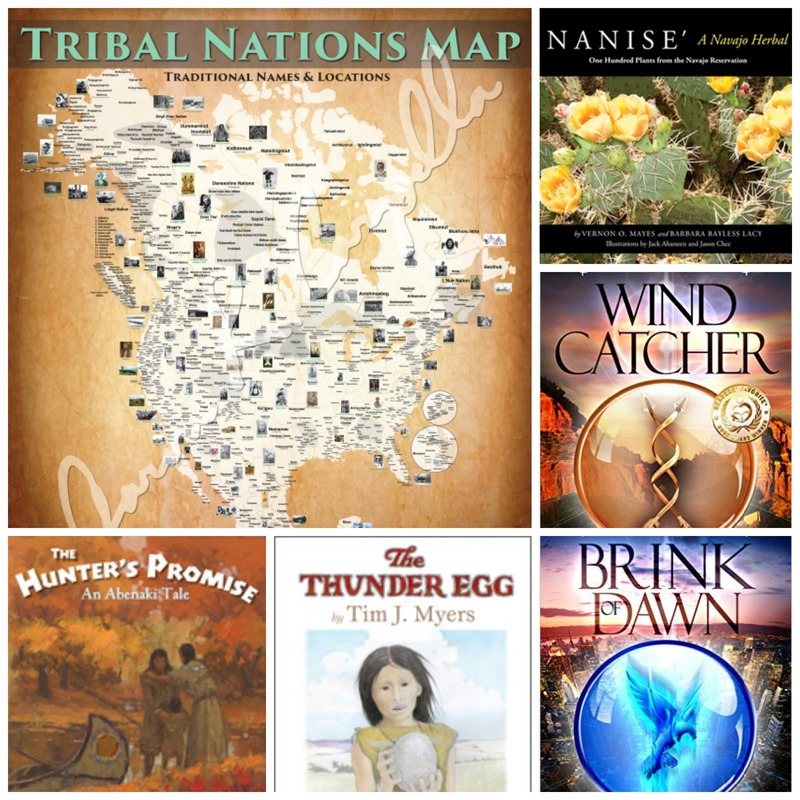 Welcome to our second annual celebration of Native American Heritage Month! 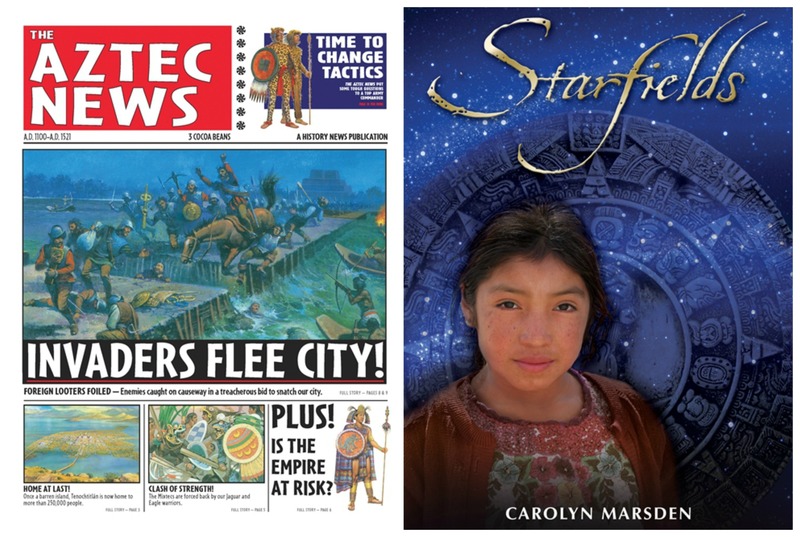 All month long we'll be sharing posts about sharing these rich cultures with kids. Find our full schedule of posts below, and don't forget to link up your own as well! We'll also be having a big giveaway (details coming soon!) 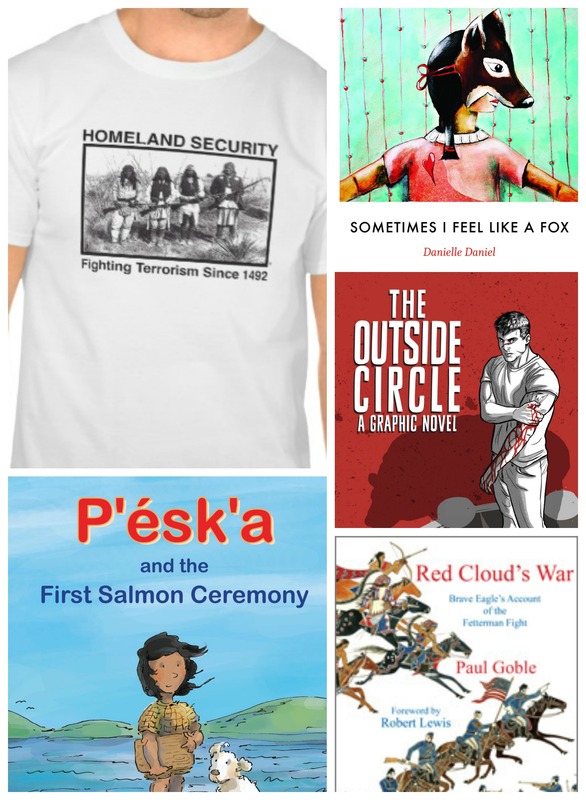 You can find even more ideas on our Native/Indigenous Cultures Pinterest board: Follow Multicultural Kid Blogs's board Native/Indigenous Cultures on Pinterest. The Sparkle Box -- A Must Read Christmas Book! !